Troy, Alabama has a rich history, and for centuries was home to Native American tribes who settled around the Conecuh River. For twenty years during the mid-1700s, Troy became part of the region known as British West Florida colony, until the United States of America was founded. 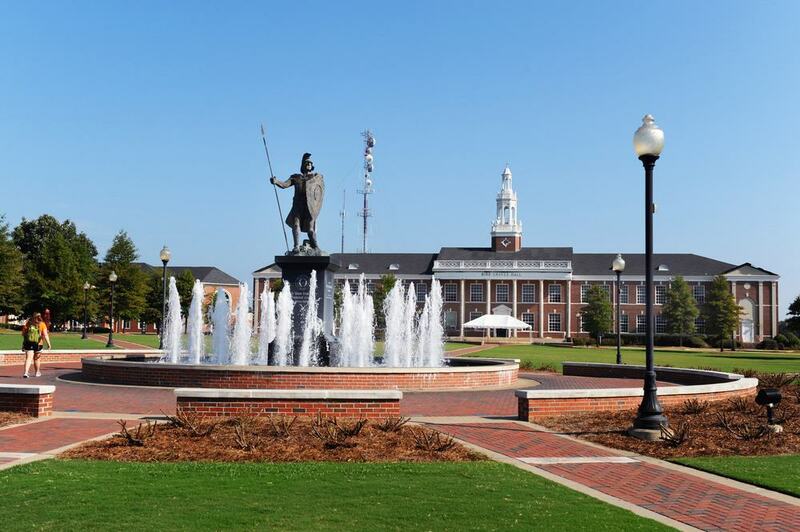 Today, it is one of the state’s fastest growing cities – a bustling college town which is home to Troy University. Even though this city looks firmly to the future, it doesn’t forget past sacrifices made by ancestors eager to make this a safe, thriving city to live in today. 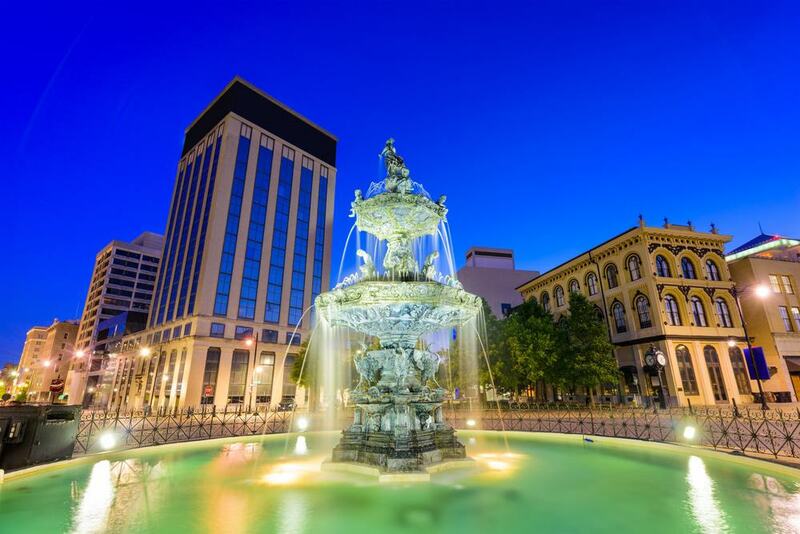 You can explore Troy’s fascinating heritage in its museums, parks, buildings and historic districts, so if you’re passing through, put this charming Alabama city on your list of places to see. Nestled in the heart of Troy is the Pioneer Museum of Alabama. The interactive museum opened in 1971, when hundreds of locals came together to try and preserve a disappearing heritage. From what was initially one single museum building, there are now hundreds of artefacts, structures and demonstration cabins to see. You can walk around the perimeter to explore sugar cane processing mills, a grist mill, rustic church and a covered bridge, and if you’re into old trains, there’s even an 1800s steam locomotive lying around! Inside demonstration cabins you can experience old country store shopping, visit a working blacksmiths shop, and a pioneering kitchen where cornbread is made. If you want to learn more about the Alabama of old, the Pioneer Museum of Alabama in Troy is definitely the place to be. 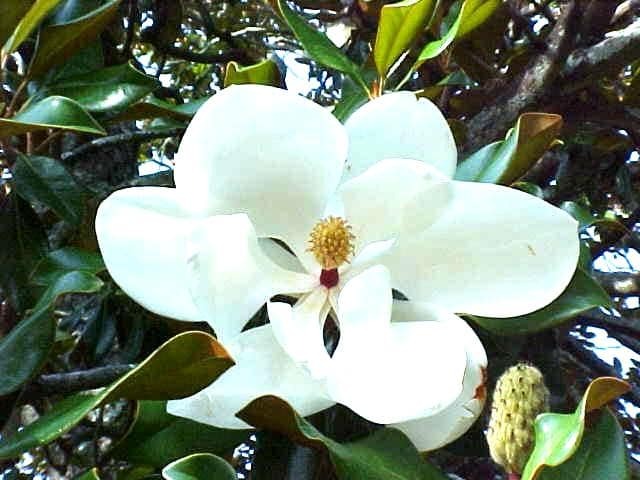 Troy Arboretum and nature preserve located in the grounds of Troy University, aims to research rare and uncommon flora and fauna of southeast Alabama. With 75 acres, and over 300 different tree species to discover, you can easily spend a day here. Take a walk along the picturesque 2.5-mile long nature trail with ponds, streams and a swamp, enjoy a spot of bird-watching, or relax under a shady tree and tuck into a tasty picnic with friends. 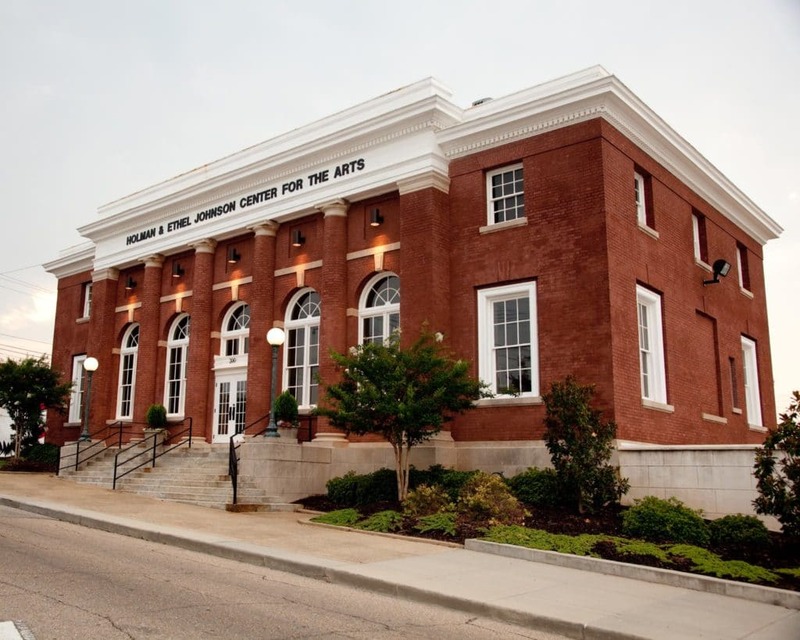 Housed in Troy’s classic-revival style post office building which dates back to the early 1900s, Johnson Center for the Arts is home to several galleries which showcase artworks from Alabama creatives. This relaxed space, set over two floors, allows visitors to browse artwork from local artists at their own pace. Exhibitions change frequently, around every six weeks, so you can visit more than once and never see the same art. As the centre is adjacent to the Historic Town Square, you can also combine your visit with coffee, snacks and a browse around city shops. 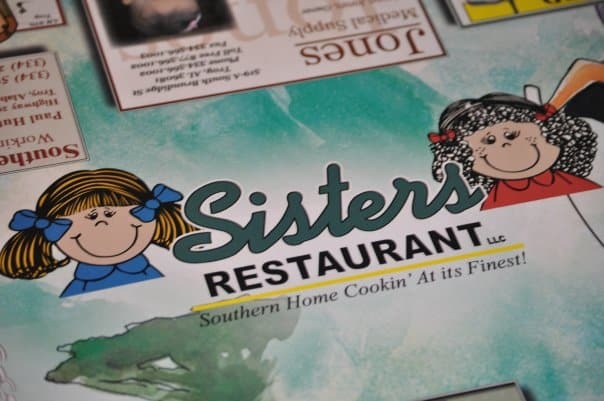 Sisters’ Restaurant was established in 1997 by Pat Rogers and Geraldine Umbehagen, two sisters with a passion for delicious home-cooked food. They serve good ole’ fashioned southern dishes which include their world famous home-made banana pudding, which has been listed on the top 100 dishes to eat in Alabama! There’s a different menu to choose from each day, and from Wednesday through Sunday, visitors can enjoy delicious buffet-style cuisine. This is not a Civil War battlefield, it’s an outdoor tactical laser tag combat battle field! This outdoor recreational adventure is set up for everyone to enjoy. Compete against family and friends in a multitude of challenging game scenarios, and hide in bunkers, machine gun nests and foxholes as you try to outwit your opposition. This is one of the most advanced and realistic laser tag fields in Alabama, so if you fancy a fun day out in Troy, don’t miss this adrenaline-pumping experience. 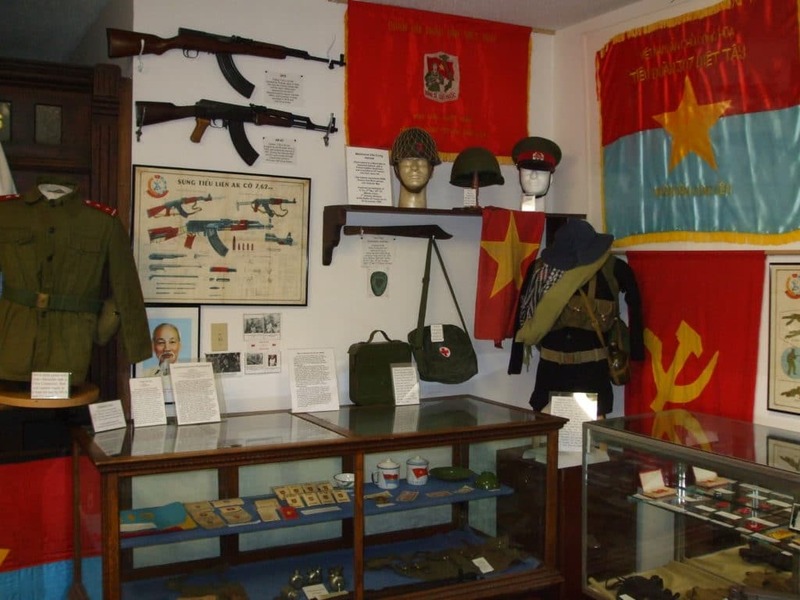 Located a few minutes from Pioneer Museum of Alabama, Conecuh River Depot Military Museum showcases a vast collection of memorabilia for visitors to browse. The private museum contains items donated by veterans, estate sales and families of Alabama war heroes. There are artefacts relating to the U.S military, some brought back from Germany during World War II, plus, war mementos from Vietnam and Operation Desert Storm in the Middle East. 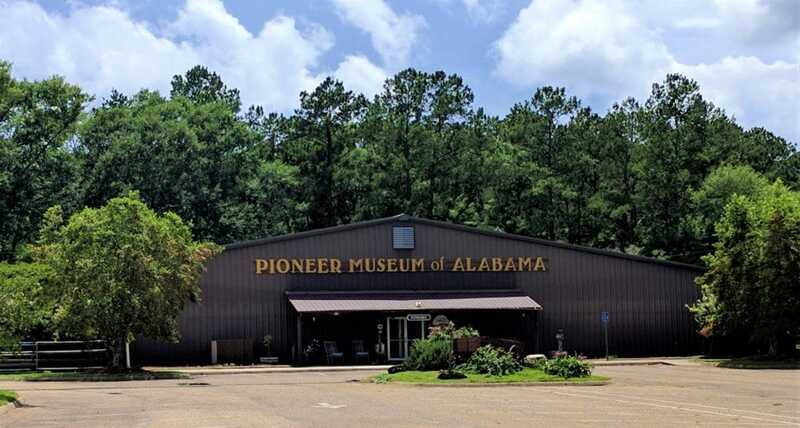 It’s an interesting museum to visit and worth popping in when you are at the Pioneer Museum of Alabama next door. Founded in 1887 as Troy State Normal School, Troy University is a renowned educational facility which serves students from all over the world. It’s home to a beautiful arboretum, Trojan Oaks golf course and a small lake called Lake Lagoona. There are walking trails which loop around the grounds, an amphitheatre, and several eclectic art installations. Highlights include the ‘Violata Pax Dove’, a giant dove installation which represents everlasting peace, and 200 replica Terracotta Warrior statues displayed in the Janice Hawkins Cultural Arts Park in the university grounds. This picturesque lake surrounded by emerald trees and woodlands is just 5 miles south of Downtown Troy. The 45-acre Pike Country Lake is popular with picnickers, hikers, and anglers eager to hook some weighty bream or bass. Visitors can rent boats for fishing and venture out onto the lake to view the shoreline from a different perspective. Alternatively, pack your sun block and a picnic and simply glide across the lake, photographing wildlife and birdlife as you go. Camp Butter & Egg is the ultimate adventure park located a few miles east of Troy, Alabama. With 23 fabulous zip lines, plus combat and water sports, there’s plenty to occupy all your travelling party. You can walk the high rope challenge, enjoy kayaking or canoeing, or pit yourself against friends with a thrilling game of laser tag. Whether you’re six or sixty, there’s over 30 activities to choose from, and when you’ve completed them you can enjoy scrumptious grill and barbeque food at the pavilion. 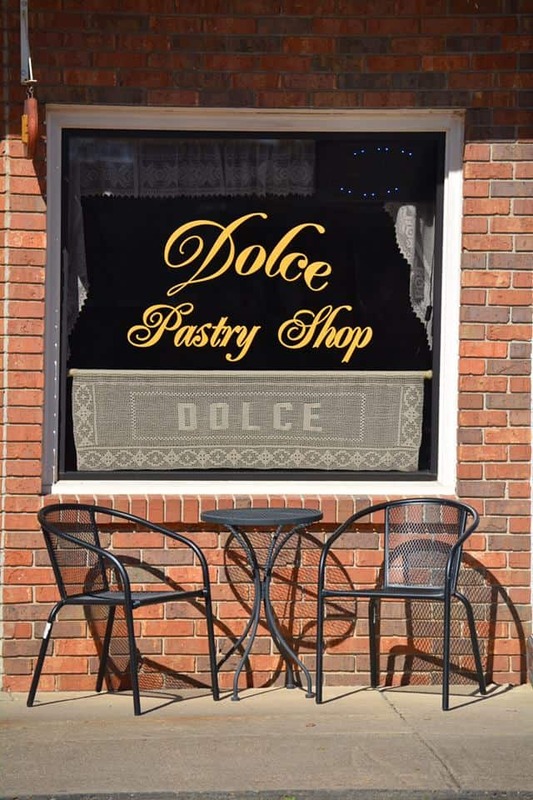 Those with a sweet tooth should pop into Dolce Pastry Shop in Troy. Specialising in plain or filled croissants, cookies and biscotti, it’s the perfect place to stock up for a picnic or enjoy tasty pastries with a morning coffee in the square. There’s also savoury treats to relish too, with flavoured quiches, a Cajun Chicken Po-Boy sandwich, or a selection of fresh salads, perfect for a summers day by the river. North east of Troy lies Heart of Dixie Trail Ride. 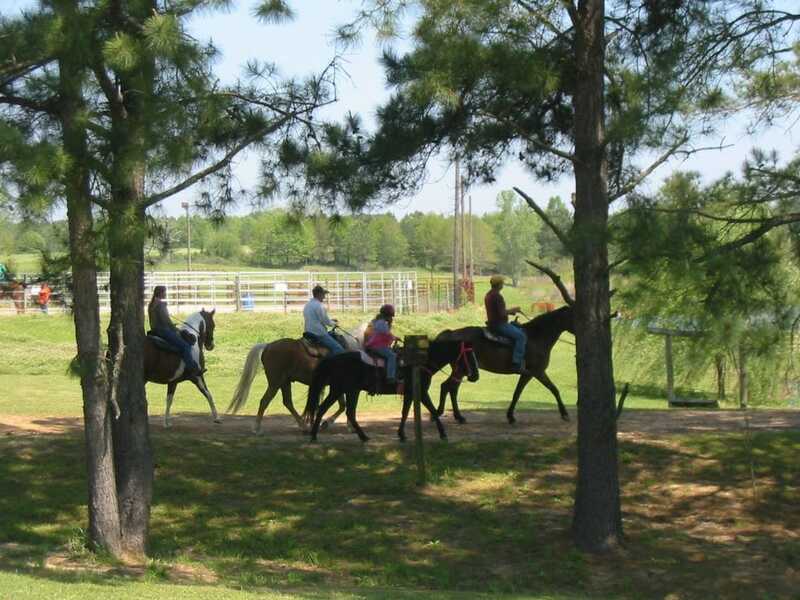 There’s around 35 miles of trails where you can horseback ride through lush fields and creeks, hike, camp, ride ATV’s, swim, or enjoy browsing covered and outdoor stalls. The trail pond is stocked with bass and bream for keen anglers, and if you wish to stay on dry land, you can hike through verdant Alabama woodlands. If you have been touring the area and just fancy some downtime with family and friends, this is a tranquil place where you can truly be at one with nature. Historic Downtown Troy is filled with art galleries, speciality boutiques, and independent gift shops. Visit the old Troy Post office which is now Johnson Center for the Arts in the Downtown Square. The building dates back to the 1920s and offers a unique insight into the city of days gone by. Another highlight for visitors to see is the original 1908 Carnegie Library, which in recent years has become home to Troy City Hall. College Street Historic District encompasses 15.5 acres of land, and consists of a church, cemetery, and 17 period houses built as early as the 1870s. Visitors to Troy can drive or walk through the historic district which covers a two-block area and discover impressive homes and structures which incorporate architectural styles such as Greek Revival, Late Victorian and Queen Anne. Don’t miss the unique architecture of Murphree House which dates to 1870, the beautiful closed porch and turret of Henderson-Denison House from the late 19th century, and the four-columned Bashinsky-Fowee House built in 1902-1903. No visit to Alabama would be complete without a day trip to the state capital, Montgomery. 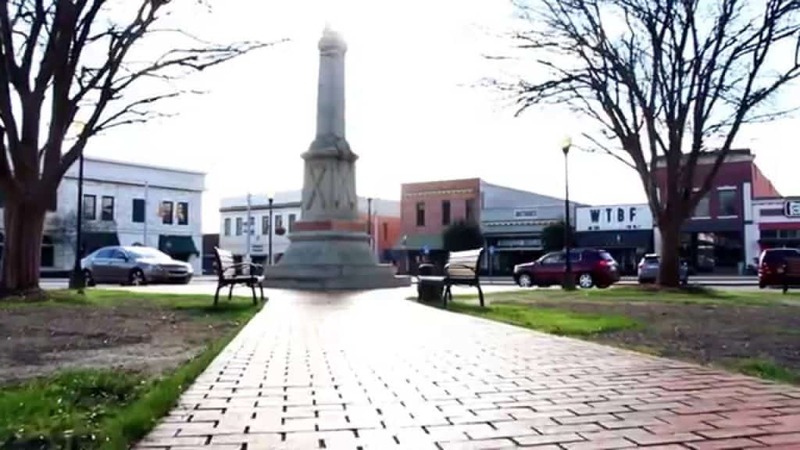 At the heart of the Civil Rights Movement, this charming city is filled with monuments, memorials, churches, parks and museums. Follow the trails to Rosa Parks Museum and Dexter Avenue King Memorial Baptist Church, before standing on the steps of Alabama State Capitol Building where Martin Luther King Jr gave his iconic speech at the end of the Selma to Montgomery march. 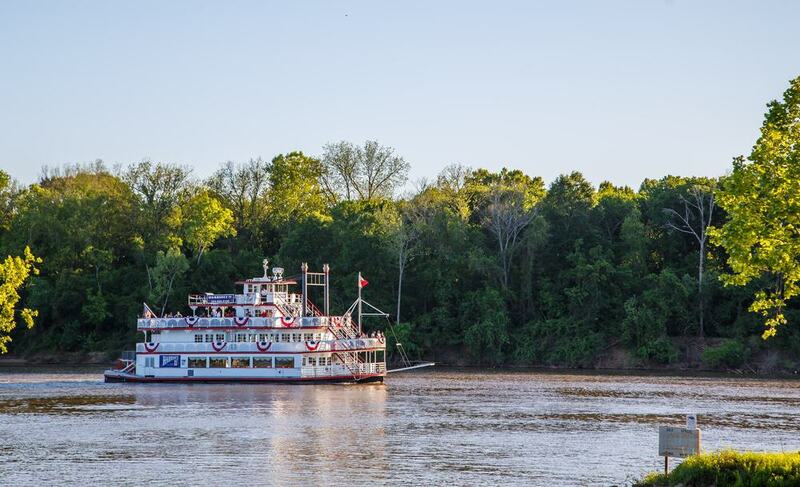 While you’re in Montgomery, why not take a trip along the Alabama River on an elegant old 19th century paddle steamer! Departing from Riverfront Park, Harriott II Riverboat tempts visitors with an array of scenic lunch and dinner cruises, and even a Blues cruise if you prefer your riverboat ride accompanied by sultry southern sounds. If you just want to sit on the 3rd deck patio, snap some photographs, and take in city and countryside views you can do that too. Alternatively, if you prefer to head out on a romantic sunset cruise, this riverboat offers a late afternoon two-hour cruise with an option to dine on-board at the Wheel House Grille. All ages are welcome, and it may be the perfect way to end your stay in Alabama.